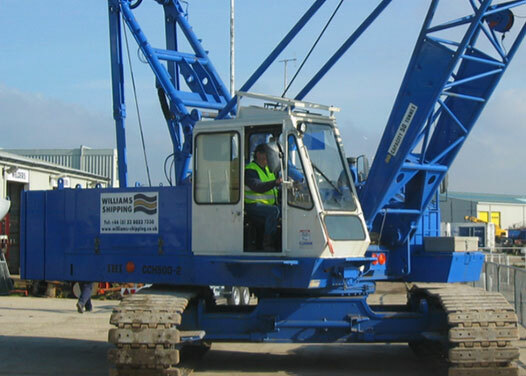 We operate a fleet of cranes including crawler cranes, and knuckle boom cranes. 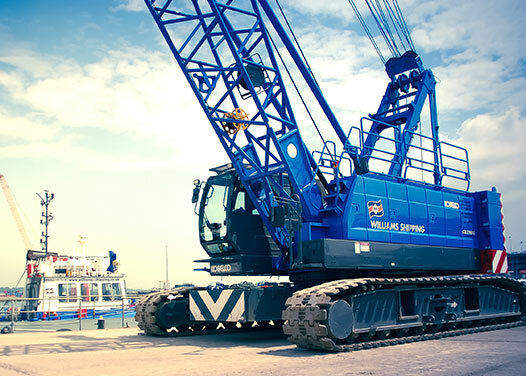 Our crawler cranes can work on our quaysides or be mobilised to any site by land or water. Our cranes are regularly mobilised and secured to our barges for carrying out marine lifting operations. Should you require larger capacity craneage, we work closely with a number of crane hire companies allowing us to meet your requirements. We also provide lorry mounted cranes. We can supply a number of knuckle boom crane options. Currently we have up to 32 tonne meter cranes with winches. These come mounted on a skid complete with controls, diesel power pack and fuel tank. These can be supplied as a stand-alone item or can be mobilised to the deck of on of our flat-top barges.